Call it a a villa, a château, a manor; the particulars are somewhat beside the point. Whatever it’s called, Borgo dei Conti Resort is a deeply romantic place, in that particular way that only a grand Southern European country house can be. Originally built as a fortress in the 13th century, the estate was remade into a noble home some 500 years later. Surrounded by acres of gardens and lawns and parkland, the building is a dramatic example of 19th-century neo-Gothic architecture, still as imposing as ever today. 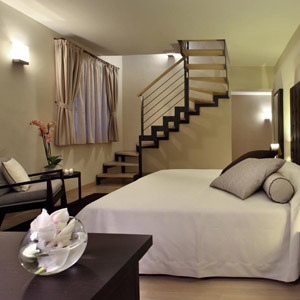 Inside, however, it’s a comfortable contemporary hotel — a surprise, given the first impression the place makes. 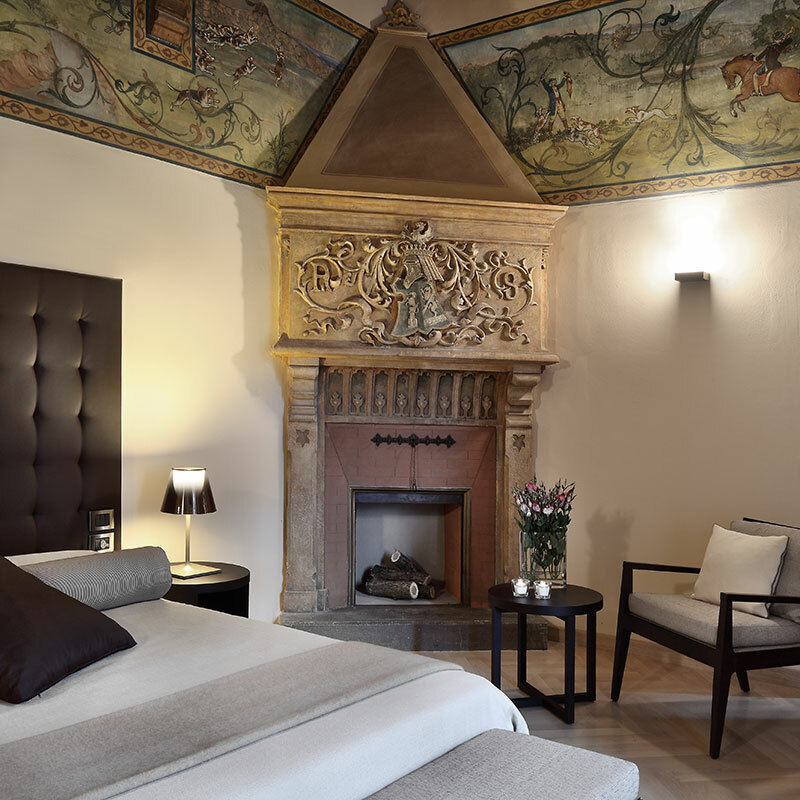 In the guest rooms, modern furnishings sit alongside some of the original details form the château — the elaborate stonework of a massive fireplace, exposed wooden beams in the ceiling, that sort of thing. The result is to create an atmosphere that preserves the romance of the 19th-century building, yet doesn’t feel drafty and cold. 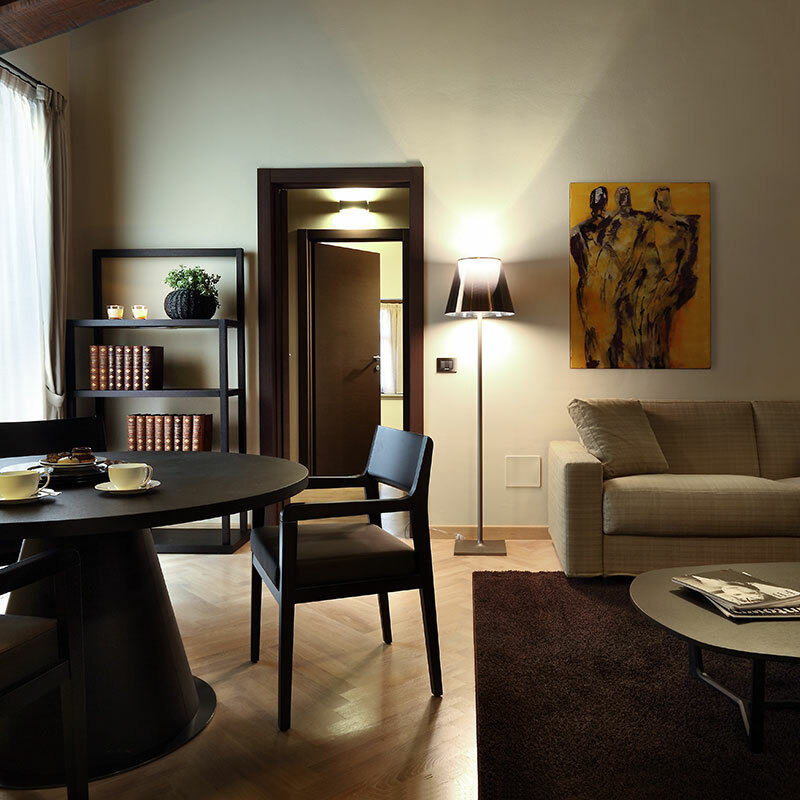 A number of quiet lounges sprinkled throughout the hotel add to the warmth as well. There’s a small gym, and a cigar lounge, and a peaceful spa area with a sauna and Turkish bath, but the highlight is the pool. Set on a terrace beneath the building’s towering façade, it’s surrounded by flowers and trees, with a tranquil landscape of fields and forests just beyond. Like the guest rooms, the restaurant strikes the right balance between tradition and modernity, with classic Umbrian and Tuscan dishes based on the best local ingredients, plated in a way that makes them look like miniature pieces of abstract art. And when it’s time to walk off the meal, there’s plenty to explore. Just out the door is a private park landscaped in the traditional English style, with shaded paths through the woods and a smattering of tranquil ponds and lakes. For what would a grand Italian villa, or château, or manor be, without some proper countryside to roam? 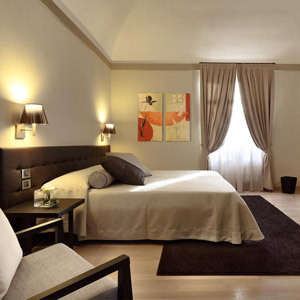 Borgo dei Conti is located about 11 miles from Perugia train station, or 19 miles from Chiusi station. Florence Airport, Peretola (FLR) is about 100 miles away, a drive of approximately 2 hours. The hotel can arrange shuttle transfers from these and other nearby major airports and train stations. Please email CustomerService@TabletHotels.com for further information or assistance with transportation.